✅ Trip Verified | Barcelona to Gatwick. The flight was smooth and we landed earlier in London Gatwick. The screens were not or something? The flight attendants were not so polite this time. 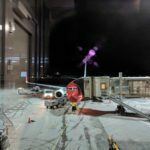 Not Verified | Trondheim to Athens via Oslo. Totally recommend you choose Norwegian. Everything was easy and convenient. Also the fact they provide FREE Wi-Fi on board makes the experience even better. Cabin crew was nice and helpful. Food is not included but you are flying for a low-cost carrier what'd you expect? "I won't hesitate to fly them again"
✅ Trip Verified | I had a great flight with Norwegian from Amsterdam to New York. The plane was very new with comfortable seats. I had a row of 3 seats for myself so I managed to get some sleep during the flight. The entertainment system works very well with lots of content and the screen quality was very good. I booked the plus package which included one piece of checked luggage and a meal on board. The meal was not so good and the buy on board products looked way better then the standard meal. You can buy products easily via the entertainment system and the crew will bring it to your seat. The crew on this flight was friendly and they even had some Dutch crew on board. 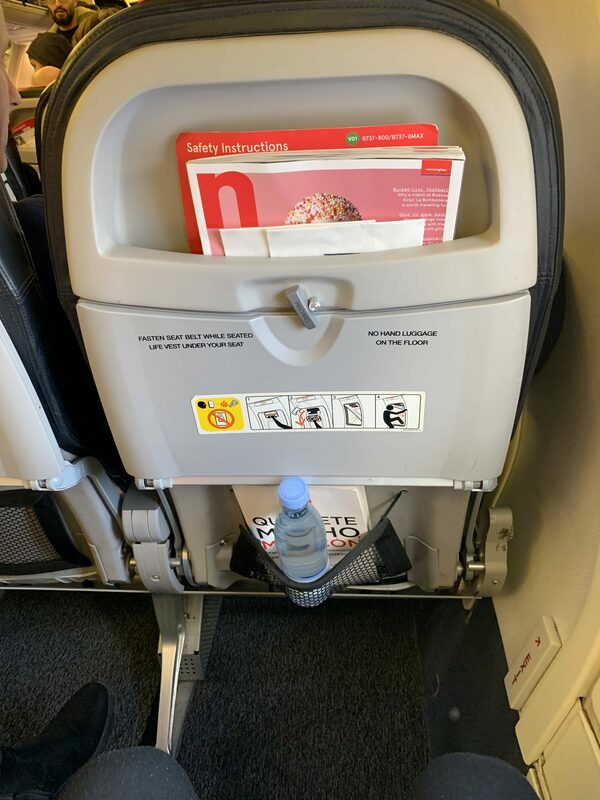 I was a bit afraid of flying on a low cost carrier like Norwegian over the Atlantic on a long flight but their product is very good and I won't hesitate to fly them again. "refuse to refund two flights"
✅ Trip Verified | I booked tickets for my children to fly to Los Angeles. My son is 13 and my daughter is 11. I found out that I needed a chaperone for the flight due to my son not being old enough to chaperone my daughter. I contacted Norwegian to book a chaperone only to be informed that they do not offer unaccompanied minor service on that flight. Why would their system allow me to book tickets that I could not use? No one on the booking was over 16, and they ask for the ages of the children, so how can it be we were allowed to book tickets that we could not use? This caused us a massive amount of problems, stress and headaches. 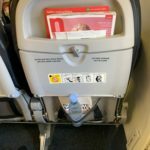 I contacted Norwegian and was told me that I would have to change the flights and pay $120 each ticket, each way to change them. This was not an option as the booking system should never have allowed us to book flights we could not use. Instead I contacted them again to request that they cancel and credit me for the outgoing flights as my sister in law flew out here and took the kids back to Los Angeles at great expense to her in time and money. She was literally at Heathrow for 3.5 hours. I then had to book a turnaround flight to LAX from Gatwick on Norwegian to pick up the children on the 24th. I had to coordinate my tickets to ensure that I got on the same flight back so I was in Los Angeles for 24 hours. I cannot explain how incredibly difficult this whole production became purely because their system allowed tickets to be booked that could not be used. We spent an incredible amount of time, stress, and money to rectify the failure in their booking system. My sister in law spent thousands of pounds worth of air miles and I spent 448.70 GBP buying a flight that I should not have to have purchased. 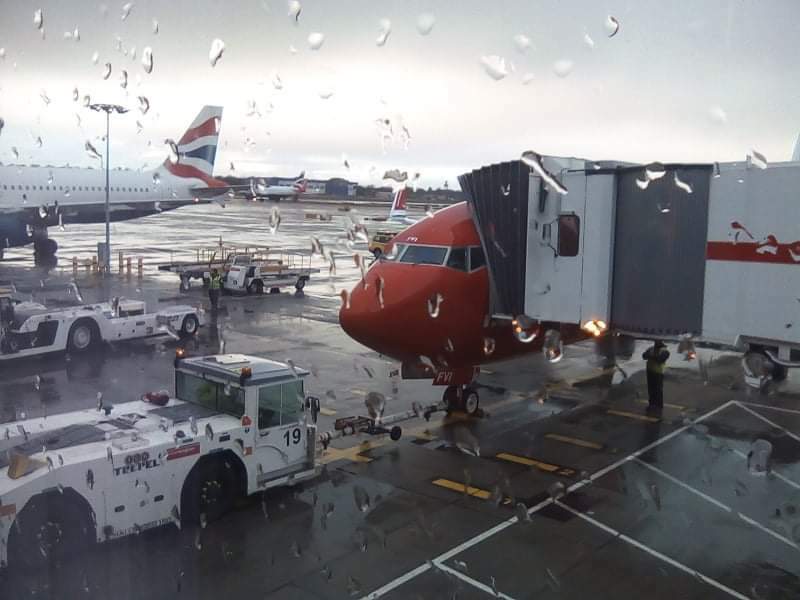 All I originally requested was for a full refund for the two flights that we were unable to use, which were the two leaving from Gatwick on the 17th. 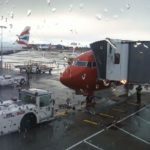 I have booked around 23 separate flights on Norwegian since January of 2018. I think you could say that I am a good client and one that they probably don't want to lose as we fly regularly between US and UK. Alas, after contacting them numerous times, they refuse to refund two flights that we did not get to use let alone the cost of the BA flights and the round trip ticket I had to purchase, none of which I was requesting. I only wanted the tickets that we could not use. "bag was still too big"
✅ Trip Verified | Norwegian used to be a great airline. When I saw favorable prices to my destination I jumped at the opportunity to fly with time. First of all, their lines are very long. It’s been two hours since I got to the airport and all I’ve done is wait on line. As I was 10 minutes into waiting on the first line to check in, an employee demanded I wait on another line to get my carry on approved AWAY bag checked in. Ok, waited on that line to find out my bag was too large. Again, it meets their already ridiculous size requirements. I take out and wear as many clothes as I can so I can have my bag on me. I have a train to catch the hour after I land so I wasn’t planning on spending any time waiting for my bag. The bag was still too big. I didn’t want to waste any time. Then I wait on that line and am told a check in bag last minute is $100. I feel like my urgency and willingness to comply was exploited. I’m minutes away from boarding and waiting on the typical tsa check in line. Would have just checked in a bag from home if that were the case. "need to pay for food"
✅ Trip Verified | I will never take a long flight with Norwegian, good for short trips within Europe. Flown from Bangkok to Helsinki. As a low-cost airline, you need to pay for food, drinks, blankets and headsets. Due to a delay I missed my connection to Helsinki and little assistance was provided. ✅ Trip Verified | Amazing airline. I flew from Barcelona to Krabi in Thailand with a stop in Oslo. Nice comfortable seats with good entertainment system. Very kind and nice cabin crew and safety was not compromised on both flights. Very good choice of food and drinks, good wifi on route to Oslo. Definitely a good choice. "never booked with Norwegian before"
✅ Trip Verified | Los Angeles to Paris. I have never booked with Norwegian before. When I looked on google flights I was able to find round trip tickets out of LA for $491. Upon booking I noticed that they charge $50 to pick my own seats on each flight. I planned to carry on but I thought that maybe I might bring home some souvenirs so I paid another $50 to check a bag on my return flight only thinking I could handle the amount of luggage on my departing flight myself. I had a backpack and a small carry on suitcase. Upon check in I was told that I could not carry on more than ten pounds which my luggage exceeded. I was told that it would cost me not $100 but $200 because, even though I booked the reservation together and was not switching airlines, that because I had a connecting flight they had to charge me twice adding another $200 to my bill. On top of that I did NOT get the seat that I chose and paid for. I was handed a middle seat for my 11 hour flight. I bought three drinks and was ignored by staff. They were rude and wouldn't remove my trash when I asked politely. This was a truly terrible experience. "unable to pay for baggage"
✅ Trip Verified | Dublin to New York. Their app wouldn't let me check in and I was unable to pay for baggage. At airport they charged me €80 per bag when it was just over the 10kg. Not worth the low fare"as they nickle and dime you on everything. Just fly Aer Lingus and enjoy the space and free bags. ✅ Trip Verified | Oslo to New York JFK. Norwegian was fair. The seats were OK. The outgoing flight's take off by 4 hours. We opted to give up our non-stop flight to switch to another flight. A year earlier, out flight was also delayed out of NY, and eventually cancelled altogether, which caused cancellation of out entire trip. We couldn't be rebooked for 2 days. 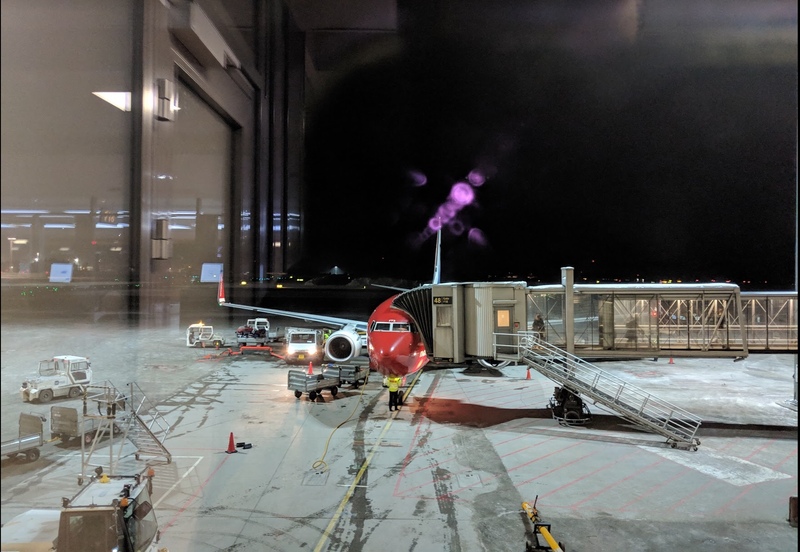 We traveled to Denmark then Oslo on our rebooked flight, missed our connection and were forced to book another flight to our destination of Tromso. The flight was fair, we carried on our luggage, and brought our own food. The return flight from Oslo to NY was OK. The big problem on this leg, was the carry on luggage. At the gate, the airline was checking the size of the suitcases with an undersized suitcase carrier and were charging people $80 to take the same suitcase that traveled in the overhead bin on the way to Norway. Upon entering the aircraft, I noticed no less than 5 completely empty overhead bins. There was plenty of room for my suitcase. The airline personnel ignored customers who did not purchase meals or drinks on the plane. On both flights I was ignored.